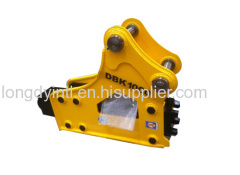 OEM and Xinren DBK1000 Type Hydraulic breaker/ Hammer, excavator attachment/Accessory, fit 11-16ton excavator, power 96ps/2000Rpm, 130hp. 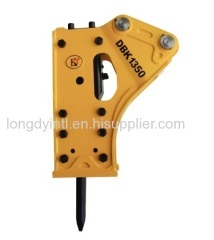 OEM and Xinren DBK1350 Type Hydraulic breaker/ Hammer, excavator attachment/Accessory, fit 18-21ton excavator, power 200ps/2000Rpm, 272hp. OEM and Xinren DBK750 Type Hydraulic breaker/ Hammer, excavator attachment/Accessory, fit 6-9ton excavator, power 56.2ps/2200Rpm, 76hp. 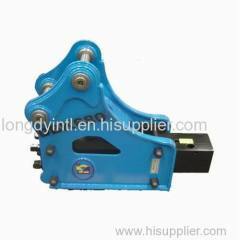 OEM and Longdy DBK680 Type Hydraulic breaker/ Hammer, excavator attachment/Accessory, fit 4-7ton excavator, power 51.8ps/2200Rpm, 70hp. 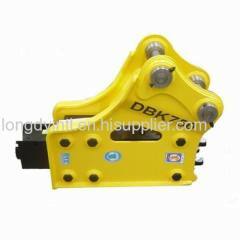 Group of Hydraulic Breaker has been presented above, want more	Hydraulic Breaker and Hydraulic hammer, Please Contact Us.